A positive approach to parenting children and teens with ADHD, that can help any parent learn to interpret what their kids are communicating verbally and behaviorally and how to collaborate with them to enhance cooperation, closeness and productivity. This is not another book about children with ADHD that simply tells parents what to do and how to discipline. Instead, this remarkable, intimate, and deeply-researched book focuses on the importance and effectiveness of being an empathically aware communicator, and how working together creates lasting results. For more than 25 years, Sharon Saline has worked with children, teens, and their families coping with ADHD--in her psychotherapy practice, as a consultant to schools, keynote speaker, and a workshop facilitator. Finally, in one place, she gives parents new insights into the minds and feelings of their children with ADHD--and offers them a new, family-tested roadmap for reducing family stress and improving loving connections. 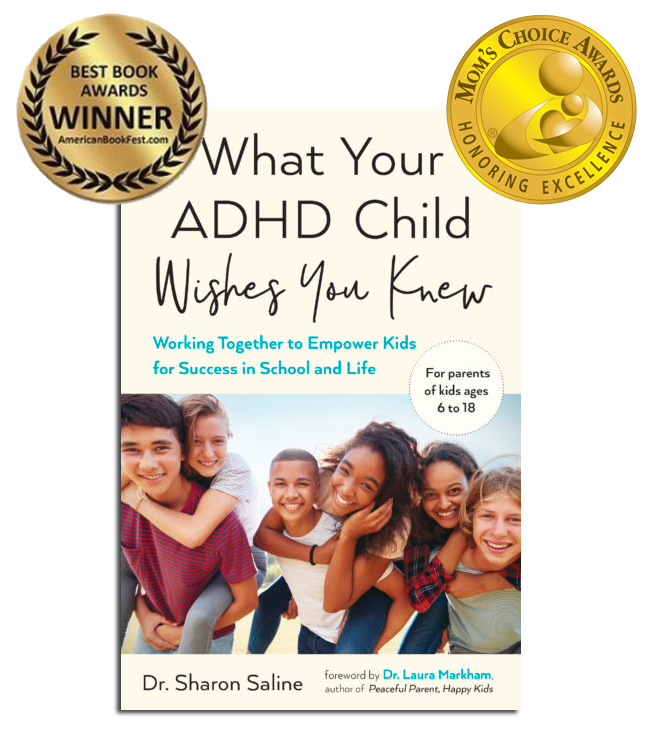 Listen as Dr. Saline shares why she was motivated to write What Your ADHD Child Wishes You Knew – hint, it is to help the children and parents who struggle daily with #ADHD! Also, learn what words are difficult for her to say and who she wishes would narrate the book! ORDER your copy using the buttons above! You’ve read all the expert advice, but despite countless efforts to help your child cope better and stay on track, you’re still struggling with everyday issues like homework, chores, getting to soccer practice on time, and simply getting along without pushback and power struggles. * Tackling everyday challenges, from tantrums and backtalk to staying organized, building friendships, and more. With useful exercises and easy-to-remember techniques, you’ll discover a variety of practical strategies that really work, creating positive change that will last a lifetime. Watch Dr. Saline read a chapter from her book below! Dr. Saline presents a practical and easy to understand guide to your ADHD child. She not only communicates the basic principles of working with your ADHD child, but gives specific words to help you defuse tense situations and help your child through their ADHD. With her many years of experience, Dr. Saline empathizes with both ADHD children and their parents, and is really able to give parents a feel for ADHD through their kids’ eyes. This book takes you through all aspects of having an ADHD child: from how their brains are “wired,” to how to get your child diagnosed, how to work with the school system, how to manage ADHD at home, and how ADHD can affect your child’s relationships with peers. If you want to know when to push and when to accept, when to punish and when to praise, it’s all in this book! Her Five C’s of ADHD parenting are great concepts—and I will add two more C’s which describe this book: Clear and Comprehensive! A fabulous insightful and caring book, well-organized with easy to implement strategies, parents will love it and kids will appreciate it! Short enough for a busy parent to actually read and use; utterly reliable and authoritative but never pedantic; wise, kind, and teeming with the chirping voices of children who have ADHD; this cornucopia of a book will feed you over and over again. Wonderfully written, infused with positive energy and solid information. All parents of children who have ADHD should buy it. – Edward (Ned) Hallowell, M.D., author of Because I Come From a Crazy Family: The Making of a Psychiatrist, Driven to Distraction, Delivered from Distraction. We have many effective treatments and strategies to help kids with ADHD better manage daily life, but this book will provide that equally important intervention: feeling understood. Your child wants to feel understood, and so do you. Dr. Saline’s Five C’s of ADHD Parenting lay the perfect foundation to address the challenges of ADHD at school, at home, and everywhere else. I love how this book helps parents create a deeper relationship with their kids so that the whole family can thrive. What Your Child with ADHD Wishes You Knew provides compassionate, consistent and comprehensive guidance around the broad impact of ADHD on individuals and families. Dr. Saline’s 5 C’s provide a practical foundation for overcoming the wide-ranging challenges of living with ADHD. When I give presentations for parents of children with ADHD and executive skill challenges, my message to them is Most of these kids turn out fine! This book is an excellent blueprint for parents who want to make that happen. 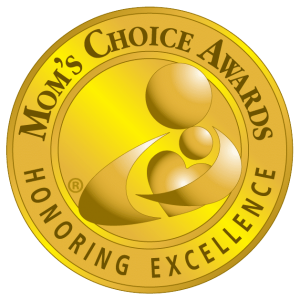 Dr. Saline is a skilled therapist who has learned to listen to her clients. This book teaches us to do the same. 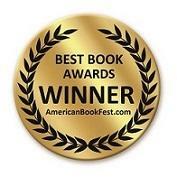 Sharon Saline is a rare commodity — a psychotherapist who “gets it”! Not only does she understand complex kids, but she speaks to parents in a kind, straight-forward, clear way that helps them improve their communication with their kids — in the heat of the moment, when they need it most. The 5C’s of ADHD Parenting are essential components of positive parenting that are easy for parents to grasp and apply. Creative, compassionate and informative, this is the kind of book I’d recommend to the parents in my community. I wish I’d had this insightful and compelling book when my children were younger. A must-read for the parent of a child with ADHD. In her book, “The 5C’s of ADHD Parenting: What your kids would tell you (if they could) and how you can help”, Dr. Saline adeptly combines the voices of children and teens who have ADHD with excellent tools for their parents to use to modify the behaviors of their offspring and themselves. I particularly like the way she applies the basic tenets of cognitive therapy in her 5 C’s approach to guide parents to workable family solutions. I highly recommend this book to assist parents in untying the knots of miscommunication and improve everyone’s coping strategies for living with ADHD. Parenting a child who has ADHD often adds multiple layers of complexity to an already challenging job. Saline does an excellent job of bringing compassion and insight to address the struggles these children face. She infuses each of her concepts with quotes from children of all ages as they share the impact ADHD has on them. It is wonderful to hear the voices of these kids as they talk about their fears, their concerns, their triumphs and their aspirations. The book will leave you feeling positive and inspired to face the challenges together with your child. Essential reading for parents and teachers who want to help ADHD children succeed. Dr. Saline expertly captures the voices of youth describing the multi-faceted challenge of ADHD, while providing practical, and research-tested strategies to support their learning, problem-solving and relationships. This book is a gift for ADHD kids and their parents. Packed full of wisdom and practical tips from kids and adults alike, the five C’s are tools I use and teach in my own practice all the time!